Sirens is only days away, and if you’re attending the Studio, you’re possibly already en route! Before you arrive in Beaver Creek, you might want to check off a few housekeeping items to ensure you have a great conference! Follow us at @sirens_con and the event hashtag #Sirens18 programming reminders, announcements, behind-the-scenes photos, sneak peek at auction items, last-minute changes, and more! We’re still looking to fill our volunteer shifts for this year’s programming. We have 5 spots remaining, and could use your help! Please check out our Volunteer page for more information, and thank you! This past week, we sent out detailed instruction emails for the Sirens Shuttle, the Sirens Studio, the Sirens Supper, and registration check-in. Presenters should have also received an email with information and tips. If you emailed us about dietary concerns and haven’t received a response, and for any other missing emails, please contact us at (help at sirensconference.org). Many staff members have already arrived in Colorado and are in the thick of Sirens preparations. While we’re unpacking materials and setting up for the conference, we won’t be able to monitor our emails as closely as we normally would. If you have an urgent question prior to arriving on-site, please email (help at sirensconference.org) and we’ll get back to you as quickly as possible. Once the conference starts, the easiest way to reach us is in person! If you have any questions or simply want to chat, our information desk in Grouse Mountain Room will be open starting at 3:00 p.m. on Thursday, October 25. Starting tomorrow, October 23, we’ll be tweeting up a storm at our @sirens_con handle as Sirens will begin in earnest! We’ll be sharing programming schedule reminders, snippets from each session, and other goings-on at the conference. If you prefer not to receive these notifications, you can mute us and check back on Monday, October 29. Follow us on Twitter at @sirens_con and the event hashtag #Sirens18 (if you haven’t already!). We’ll be tweeting programming reminders, last-minute changes, quotes from presenters and guests, pictures of things like auction items, and more! Come to our new-attendee session. We’re hosting a session specifically for new attendees on Thursday at 5:00 p.m. in the McCoy’s Peak room. You’ll have a chance to hear more about how Sirens works, ask all your questions, and meet other new attendees. Find a Sirens Ambassador. We’ve appointed 19 seasoned attendees as Sirens ambassadors, specifically so our new attendees will be able to find a friendly face in the crowd. Our ambassadors will be wearing a special button when they’re available for conversations. Feel free to pepper them with your questions or find them when you’re feeling adrift or out of place—they’re here to help! Start a conversation. Everyone at Sirens is a reader. Whether you’re waiting for the shuttle, lounging in the hotel lobby, or eating at a table, it’s easy to use book talk to break the ice. Attend programming. Sirens’s programming is presented by our attendees, for our attendees—and as everyone’s voice at Sirens is vital to our community, our presenters include readers, librarians, and educators, as well as the scholars, authors, and professionals that you might be expecting. We’ve had a record year of proposal submissions and are able to offer four tracks of programming! Check out our full schedule and our summaries of programming, geek out over what’s being offered, and plan out your day. Conversations are highly encouraged in between sessions, and sometimes even during sessions, like in the case of roundtables or Q&As. Seating is open. Unless the seat is specified as “Reserved,” feel free to sit anywhere while at programming, Books and Breakfast, Bedtime Stories, the community room, or at meals—but please leave the seating closest to doors and aisles open for attendees who might need a closer seat or some extra room to maneuver. Looking for a group for dinner? Check the program book. We’ll have a list of meet-up times and locations, as well as a list of dining recommendations. We have a bookstore, specially stocked with over a thousand fantasy titles by women and nonbinary authors. If you want recommendations, we’re holding Books with Amy and Faye at 6:00 p.m. on Thursday and 2:00 p.m. and 7:00 p.m. on Friday in the community room, when the staff will try to sell you books upon books. A word of warning: we’re pretty good at it—some people save their book money all year for our bookstore and some bring a second suitcase to take their treasures home! Shipping is also available for a fee (media mail, in the United States only). We have an auction, of amazing items, some hand-crafted, some one-of-a-kind, some that you simply won’t want to leave behind. The proceeds are crucial to covering a large portion of Sirens’s expenses and keeping our prices down. Your registration bag will include information about the auction and a list of offered items. We hope you’ll bid early and often! Check out our accessibility policy. Sirens is committed to making the conference accessible for a variety of individuals, but we need your help to do so. Please take a look at our accessibility policy (and also printed in your program book), and then consider how you might help make Sirens accessible for others. Bring a bathing suit! The hotel has a heated outdoor pool, and five, count ‘em, five hot tubs. Not to mention Aqua Sanitas—a special water ritual at the spa accessible for an additional fee. Thursday, October 25 at 5:00 p.m.
We can’t wait to meet you at Sirens! A version of this post initially ran in October 2017. A week from today, some of you will already be frolicking in Beaver Creek, and the rest of you won’t be far behind! And we know, some of you may be thinking, oh, the altitude, it’ll be fiiine. For some of you, that might be true! But those of us whose homes are at sea level, who don’t train for hikes in Machu Picchu or own season ski passes, read on: This post is for you. Drink plenty of fluids. Dehydration and high altitude can both bring headaches. Drink water early and often—you can even drink a sports drink, with electrolytes, for an extra boost. For a good rule of thumb, drink whenever you see our conference co-chair Sabrina Chin take a sip. (The rallying call for this is, “When Sabrina drinks, you drink!”) And we’ve got you covered: We’ll have Sirens water bottles, with some of our fabulous artwork, for sale in our community room. Balm it up. Because of the lack of moisture in the air, you might need to apply extra lip balm, nasal spray, eye drops, and lotion to keep yourself comfortable. Eat a snack. May your bellies be full. With high altitude can come a bigger appetite—your body is working extra hard to compensate for less oxygen and lower temperatures. Be aware of the sun. Thinner air means less protection from the sun’s harmful rays. Whether you burn easily at sea level or not, you will in Beaver Creek—so make sure that you cover up and apply sunscreen if you’re going for a hike or enjoying the grounds. Bring your sunglasses, too! Believe us, your eyes can burn. You might need more sleep than usual. Or you might be really tired from the plane ride in, or suffering from jetlag or insomnia. Nevertheless, lethargy is real in the mountains. Who says naps are only for babies? If you feel a headache coming in, up your fluid intake and try taking ordinary painkillers. Chances are, you’ll feel much better with some rest, too. If you’re struggling with the altitude, consider altitude pills or supplemental oxygen. Some people have found that these help; some people think these are nonsense to take advantage of tourists. 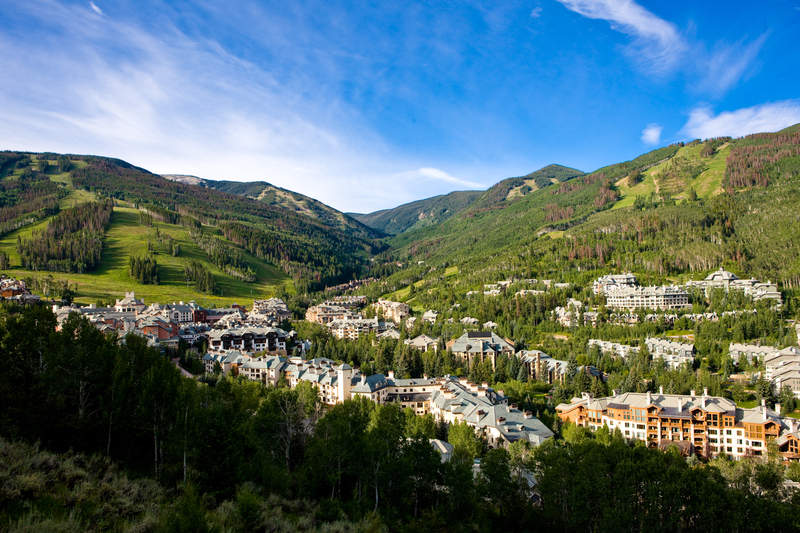 Regardless, the Beaver Creek Market, just minutes from the Park Hyatt, will sell you both. If your headache does not respond to more water and ordinary painkillers, and is accompanied by nausea, extreme fatigue, inability to sleep, swelling, or continued rapid heartbeat, please see the hotel’s front desk. You are within the small percentage of people misfortunate enough to experience altitude sickness. While altitude sickness generally clears up within a few days, the Park Hyatt can help with treatment options. For more information in the meantime, you can check out our page on Altitude. Any other questions, please contact us at (help at sirensconference.org). We’re looking forward to seeing you all next week, and we want your experience at Sirens to be amazing! Success! After not meeting my goal last year, I’m proud to share that I’ve completed this year’s Sirens Reading Challenge: 26 books. Because it’s a reunion year, I had more books to read than a usual Sirens year—often, I’ve already read a few of the books on the required theme list and can get a bit of a boost. But with four themes to revisit, I was forced to abide by the asterisked rule per category: books I’d read previously, and authors I’ve read previously, were ineligible. That Amy Tenbrink, she’s sneaky. *Unpictured: Violet Kupersmith’s The Frangipani Hotel, as I made this list prior to the change. But I have read it, though! Novellas reign supreme in adult fantasy and science fiction. I like reading them, and publishers seem to like publishing them. Perhaps readers like myself—and publishers putting them out—are catching on that you don’t necessarily need a doorstopper to get a great fantasy book. It’s no surprise I chose to read them for this challenge; they’re quicker to read, are the perfect length to truly explore a concept and focus on craft, and you can really sink into it over short stories (some of which are over too quick!). Some of my favorite reads this year were novellas: Passing Strange and The Black Tides of Heaven. I’m hard to impress in YA. YA has been rough for me for the past few years now. I refuse to lower my standards for YA books, having worked in children’s publishing for the last eight years. I have my favorite standbys, Laini Taylor and Megan Whalen Turner, who are ineligible for the challenge. 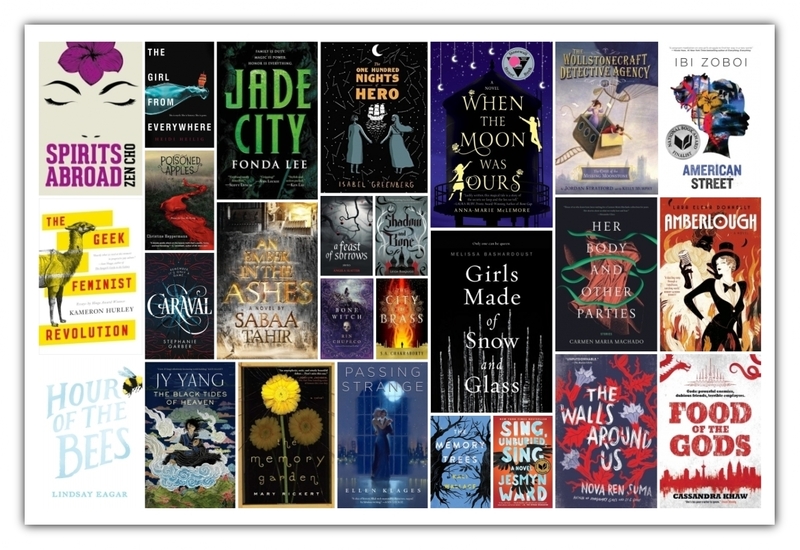 Contemporary YA has been really exciting lately; I think I’m looking for diversity, worldbuilding, and craft in fantasy YA, and I couldn’t quite find a book this year—by a new author eligible for my challenge—that hit all three. More pictures, please. One of the best books I read this year was The One Hundred Nights of Hero, which I’m a little surprised seems under the radar (or maybe it isn’t and I need new book friends?) But I didn’t get as much graphic novel love as I did last year, and I miss it. I need to pace my reading for next year. What happened, inevitably, is that I inhaled all the books I was looking forward to reading at the beginning of 2018, and then stalled, and stalled, until late August when I realized I still had ten books left to go, none of which I was super looking forward to (though there were some surprises!). Because if I had, I would have read them earlier. It made for a pretty frantic last month. The quick five-question survey, modified for reunion year. Favorite Book: Carmen Maria Machado’s Her Body and Other Parties, which matches the rage I so often feel, especially this last week. Probably the best book I’ve read in the last five years, if I’m being honest. Favorite Reunion Category: This is a tough one. Rebels and revolutionaries is my favorite theme that we’ve ever had, but this year, all the hauntings books I read were pretty great: The Walls Around Us, The Memory Trees, and Sing, Unburied, Sing. Followed by lovers, a category that was never really my favorite—but I loved The One Hundred Nights of Hero and Passing Strange. Favorite New (Or New-to-You) Author: Angela Slatter and her collection A Feast of Sorrows. This is how you write a collection of fairy tales! Favorite Female/Nonbinary Character in a Book: Mary and Ada in The Case of the Missing Moonstone, because they complement each other beautifully and are so freaking awesome. Also known as the Most Delightful Duo. Book that wasn’t what you expected: Food of the Gods was certainly the biggest surprise, as it’s the most absurd. I also had expectations going into Girls Made of Snow and Glass, Poisoned Apples, and Caraval, which none of them really met. I was also a bit surprised by The Geek Feminist Revolution, which I very much enjoyed, but seemed to be written primarily for a writerly audience that I am not part of. Now please excuse me as I read all of the sequels and author favorites in the next month before the 2019 challenge comes out! This fall will mark our tenth year of Sirens. With our conference theme of reunion, it’s the perfect chance to reflect on past conferences and revisit some old friends. In this series, we check in with our past Guests of Honor to see what they’ve been up to these days. If you attended Sirens that year, please share with us your memories of 2017—last year!—in the comments or on social media, and take a stroll with us down memory lane! In 2017, our theme was women who work magic, and our Guests of Honor were Zoraida Córdova, N. K. Jemisin, and Victoria Schwab. 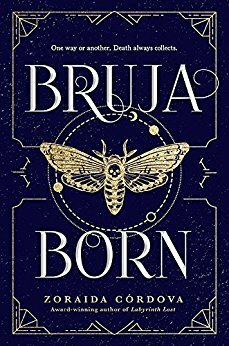 Since Labyrinth Lost was released, Zoraida has published the second book in the Brooklyn Brujas series— Bruja Born in June 2018—which features Alex’s beautiful older sister, Lula. 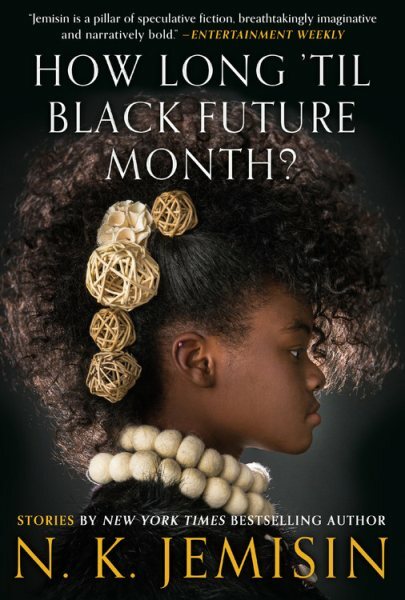 To celebrate her new book, Zoraida spoke at bookstores across the country with author Dhonielle Clayton and additional guests on the Belles and Brujas Tour throughout the month of June. The next book in the series, featuring Alex’s youngest sister Rose, will come out in 2019. 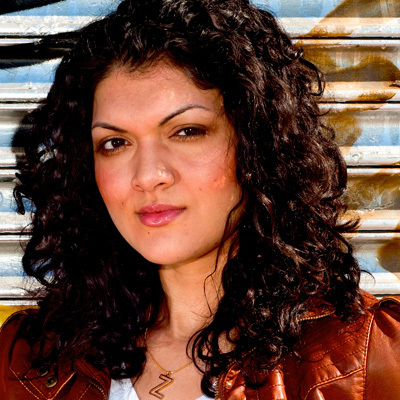 Zoraida’s short fiction has appeared in two recent anthologies: “You Owe Me a Ride” in the 2017 Star Wars collection From a Certain Point of View (alongside other past Sirens Guests of Honor Renée Ahdieh, Rae Carson, and Nnedi Okorafor); and “Divine Are the Stars” in Toil & Trouble: 15 Tales of Women and Witchcraft, which was edited by Tess Sharpe and Jessica Spotswood and was released in late August 2018. In 2019, look out for the first of Zoraida’s new YA fantasy duology Hollow Crown, which is “loosely based on the Spain of the 15th century, reimagining the Inquisition as a battle between a cruel, autocratic state and rebel magicians.” The sequel will be published in 2020. Where She Is Now: Hard at work on her next novel! Zoraida can also be found on Twitter and Facebook. Upcoming Appearances: Zoraida is making a number of appearances across the country from now until the end of October, including Los Angeles, New Jersey, New York City, Boston, and Philadelphia. Check out the full list on Zoraida’s Twitter here. Don’t forget, Zoraida is also teaching at the Sirens Studio and will appear at Sirens this October 23–28, 2018! 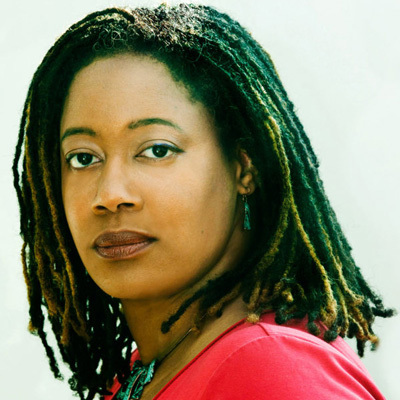 N. K. (Nora) Jemisin made history back in August for winning the third consecutive Hugo Award for Best Novel for The Stone Sky, the last in her Broken Earth trilogy; the previous two books The Fifth Season and The Obelisk Gate also won Hugos. You can watch her Hugo acceptance speech here, and read a transcript here! The Stone Sky also won the 2018 Nebula Award for Best Novel, as well as the 2018 Locus Award for Best Fantasy Novel. Last month, Entertainment Weekly dubbed Nora the “new queen of fantasy.” A special Broken Earth boxed set was released earlier this week. A Fifth Season television series is also in development at TNT. Also released this week was the collection, The Best American Science Fiction and Fantasy 2018, which Nora guest edited with series editor John Joseph Adams. Where She Is Now: After three years of reviewing science fiction and fantasy books in the New York Times column “Otherworldly,” Nora stepped down from her post in January 2018 though she occasionally still contributes long-form reviews. She is currently focusing on various book projects, including an upcoming contemporary fantasy. You can find her on Twitter. Upcoming Appearances: Nora will be at New York Comic-Con on October 6–7, 2018 and the BRIC house in Brooklyn, NY on October 23, 2018. Victoria has been busy writing, publishing, and promoting books! In August 2018, Victoria’s newest novel for young readers, The City of Ghosts, was published and became a New York Times bestseller. It features a girl who can see ghosts and is set in Edinburgh! For fans of Victoria’s recently concluded Shades of Magic trilogy, a super pretty boxed set will be available in mid-October, and includes some bonus content including a pull-out map. You might also want to clutch your fabulous coat close—Victoria will be helming a prequel comic book series titled Shades of Magic: The Steel Prince, with artist Andrea Olimpieri and colorist Enrica Eren Angiolini. The first issue comes out next week, with the second to follow in November! Film buffs, you’re covered too—a Shades of Magic movie is in development with Sony. Look for Victoria’s essay “Black Whole” in the Kelly Jensen-edited collection on mental health, (Don’t) Call Me Crazy: 33 Voices Start the Conversation About Mental Health, available now. 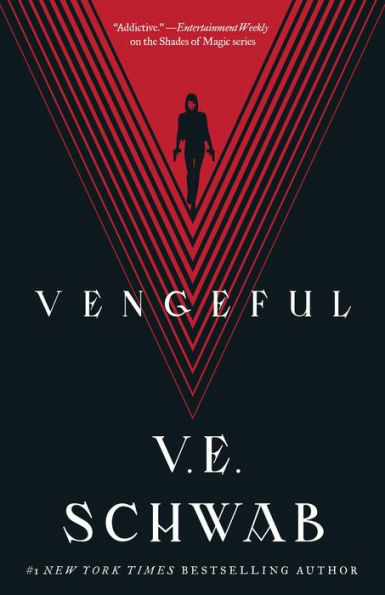 Where She Is Now: On the road promoting Vengeful—check out her list of appearances here. Highlights include New York Comic-Con on October 4–6, 2018 and the Texas Book Festival on October 27–29, 2018! You can find Victoria on Twitter and Facebook. Each year, we select a variety of popular, controversial, and just plain brilliant books—and then, during Sirens, invite our attendees to bring their breakfast and discuss them. 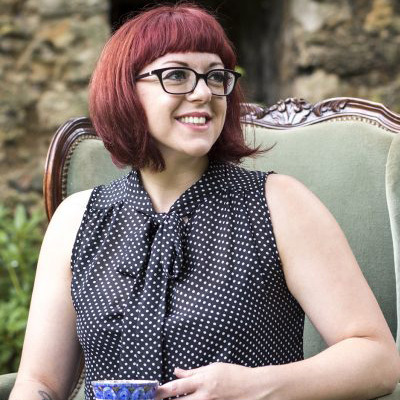 Over the years, this program has highlighted the depth and breadth of each of our annual themes and given attendees yet another opportunity to deconstruct, interrogate, and celebrate what women and nonbinary authors are doing in fantasy literature. This year, our Books and Breakfast program will feature eight books, with two dedicated to each of the themes of our past four years: hauntings, rebels and revolutionaries, lovers, and women who work magic. The complete list of our selections and a spotlight on our hauntings selections are here; a spotlight on our rebels and revolutionaries selections is here; and our spotlight on our lovers selections is here. We hope this helps you pick which ones you might like to read before Sirens! Our two Books and Breakfast picks focused on women who work magic are S. A. Chakraborty’s The City of Brass and Moïra Fowley-Doyle’s Spellbook of the Lost and Found. Do you plan on picking these up soon? Let us know! Tweet @sirens_con or use the hashtag #Sirens18! The City of Brass opens in eighteenth-century Cairo, with Nahri—who despite having readily apparent magic, refuses to believe in it. She gets by on the streets by reading palms, stealing, and performing some rather miraculous healings. As part of a con, Nahri accidentally summons Dara, a djinn, and then all hell breaks loose. The dead rise from the mausoleum, Dara forces Nahri to flee from Cairo on a flying carpet, and a giant bird of unknowable power appears in the desert. How about that magic now, Nahri? Nahri goes kicking and screaming. Despite her life on the streets in Cairo, she wants nothing to do with Dara, his magic carpet, or his impossible stories of ancient beings of fire and water. Or, for that matter, their destination: Daevabad, a magical city with mysterious ties to Nahri’s magical heritage—and one where secrets abound, plots unfurl, and magic is practically palpable. Charkraborty has said that The City of Brass began as, essentially, history fanfiction. Scant references to djinn and Suleiman and myths that she researched and then wove into an entire secondary fantasy world stretching from Morocco to Ethiopia to China. 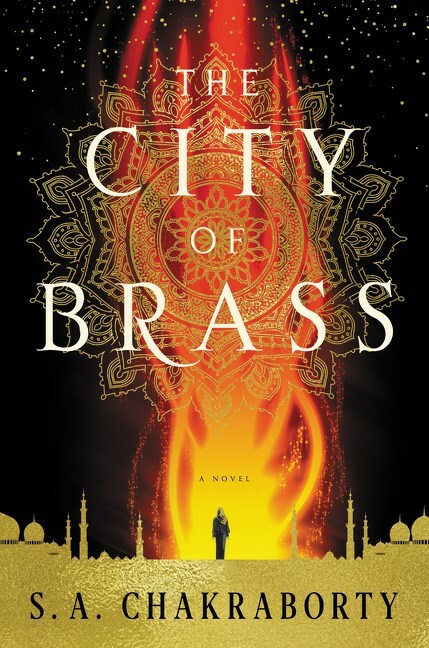 In many, many ways, The City of Brass is a tour de force: breathtaking world-building, near-seamlessly dropped into actual history and geography; an extensive fantastic history, about which the reader salivates to know more; myriad distinct cultures premised on war or culture or art. This world is as impressive—and as interesting—as Leigh Bardugo’s Grishaverse or Yoon Ha Lee’s Machineries of Empire universe; the art and culture as well-designed as Cassandra Khaw’s Food of the Gods or Erin Morgenstern’s The Night Circus; the secondary characters as developed and fascinating as Fonda Lee’s or Alex Marshall’s. You’ll want to stay a while. If you’ve read Fowley-Doyle’s previous novel, The Accident Season, you know her allure: She takes something so everyday, so commonplace, and turns it into a fairy tale, one that you’re not even sure is a fairy tale, as she glides along just the other side of coincidence and conjecture. She lives in the very best of that liminal space between the strangeness of our ordinary world and the merest bits of magic. Her work is gorgeous. Spellbook of the Lost and Found does for lost things what The Accident Season did for accidents: examine the deeper meanings and interconnected themes of something that happens to all of us. It starts with hairclips and jewelry, but so soon, it’s so much more: a sense of safety, maybe a friendship, seemingly a person. And while things are lost, others are found: The diary pages of a girl named Laurel—which hint at mysteries and magic. Three strangers squatting in an abandoned estate house. A spellbook. A spellbook that works. 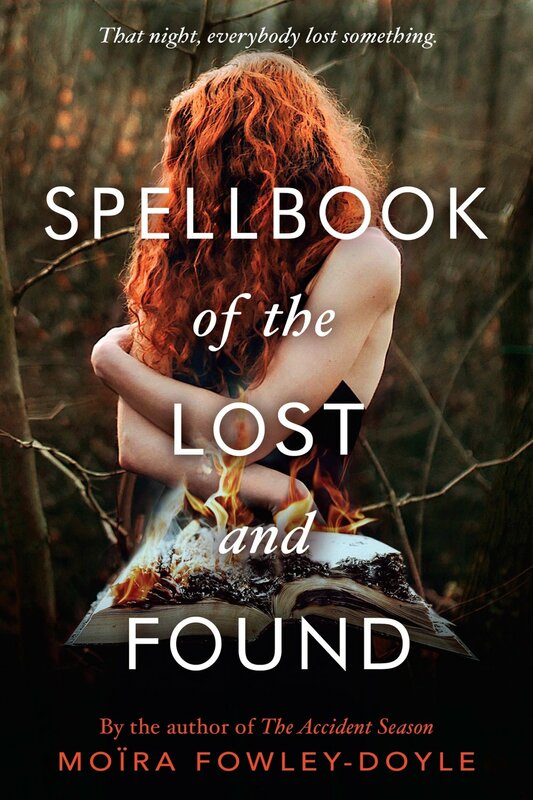 If living in Fowley-Doyle’s enchanted spaces aren’t enough, if her oh-so-Irish, lyrical prose isn’t enough, stay in Spellbook of the Lost and Found for the twist toward the end, which ties everything—shockingly, beautifully—up neatly, almost savagely. No one gets out of this one unscarred, but maybe that’s just everyday life. We’re excited to bring you a roundup of October 2018 fantasy book releases by and about women and nonbinary folk. Let us know what you’re looking forward to, or any titles that we’ve missed, in the comments!